I have lived in South Orange County most of my life and never knew where Sunset Beach was until my Junior year in college. Granted North and South county sometimes seem much further apart than the 15 minutes that they are, but this little gem was not to be missed! Sunset Beach is a tiny beach town nestled between Seal Beach and Huntington Beach right at the front of Huntington Harbor. It’s a tiny strip off PCH – as in just a handful of stop lights – but it has huge character all its own. It’s a beach community right out of the 60s and something you simply will not find in the vast majority of Southern California, let alone Orange County. One of the icons of Sunset Beach is Captain Jack’s. This Prime Rib and Seafood Restaurant is famous for their king crab legs, but what really makes the place one of a kind is the casual atmosphere and surfer mentality prevalent throughout and enjoyed by tourists and locals alike. 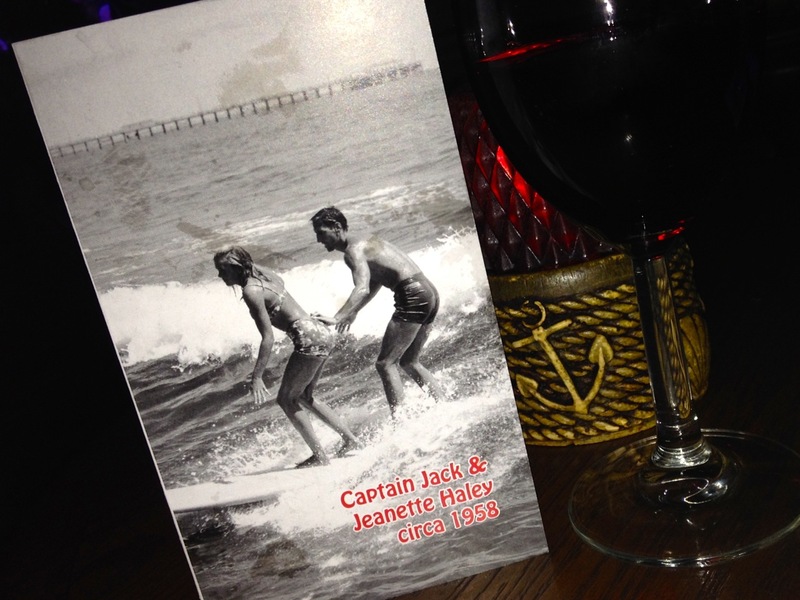 The restaurant is steeped in local history being opened by surfing icon, Jack Haley, in 1965. Haley, the establishment’s namesake, lost his battle with Cancer in 2000, but his memory lives on in the restaurant; waiters wear brightly colored Hawaiian shirts, which apparently was all Haley was ever seen doning, and an original Jack Haley long board, presumably from his surf shop, Jack Haley’s Surfboards, adorns the wall in the lounge area. When you walk in to the restaurant you will find friendly hostesses to greet you and an excellent wait staff to attend your every need. When they walk you back to your table, personnel along the way will greet you by your party’s last name, in our case “good evening, Erickons!” This caught me off guard the first few times I dined here, but is just an example of their attention to detail and personalized service. We dining at Captain Jack’s last Saturday night and on this visit there was a bit of a wait (45 minutes to an hour is not uncommon on a weekend evening, so call a day or two in advance for reservations) so we started our evening in the lounge with the seafood skins appetizer. My husband ordered a glass of Cabernet to accompany it. He was a little disappointed not to order a bottle off their extensive wine list, but since I am pregnant and not partaking, I think he figured he didn’t need an entire bottle to himself – good idea! 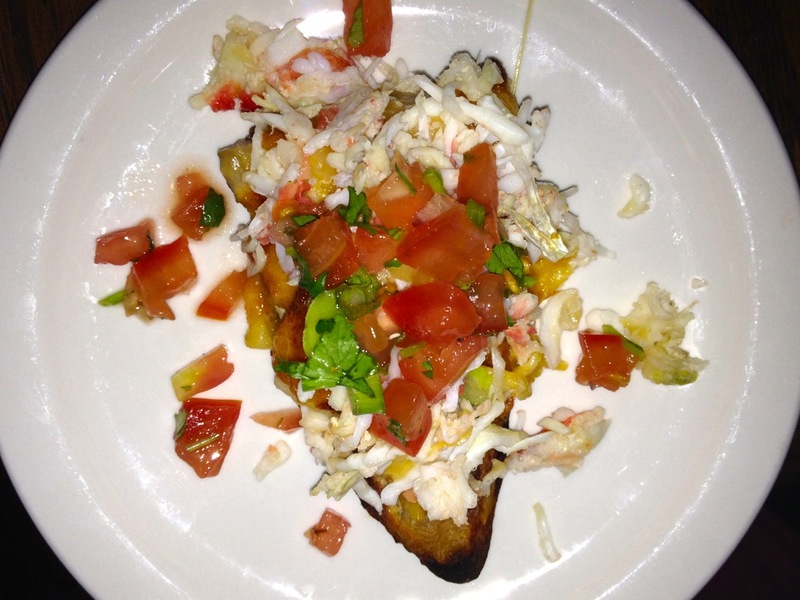 The seafood skins, practically a meal in themselves, are a hearty take on potato skins, but topped with a generous portion of shredded king crab and jumbo shrimp. It is served with pico de gallo salsa and a creamy dipping sauce. I was almost full with just this! Once we were seated, we were greeted by our wait “team.” At Captain Jack’s you don’t just have a waiter; you can ask anyone for anything, so nice! We were ushered waters, another round of drinks, fresh out of the oven sourdough and squaw bread with butter and our giant menu. When I say giant, I’m not referring to the extent of the menu – they actually keep things fairly classic around here – but the literal size. While you can’t quite tell in the picture, it is literally a huge menu. They garnish one per table and the sailboat shaped board sits propped up for all to share. This is just another aspect that lends to the casual family style of this otherwise fine dining restaurant. Entrees come accompanied with the hot bread and butter already mentioned, salad and rice. 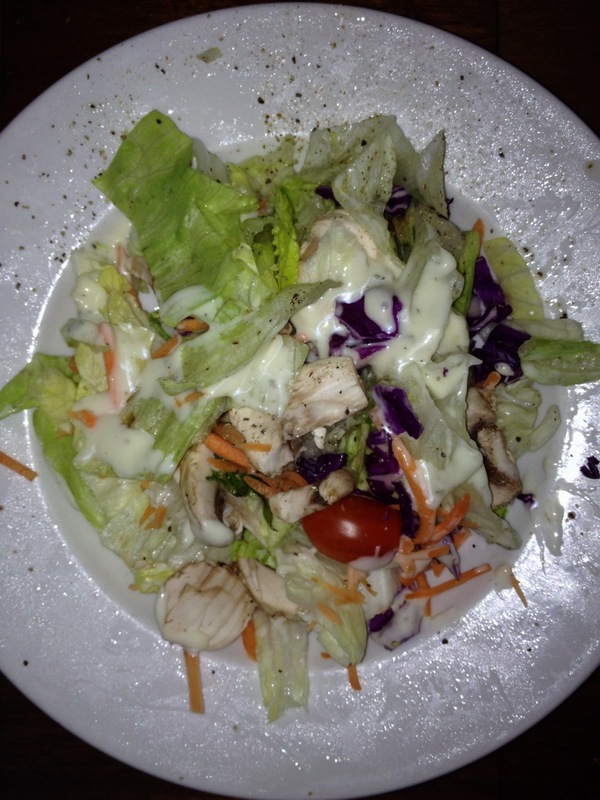 We enjoyed our salads at leisure. I’d note if you’re a blue cheese dressing fan – and generally speaking neither my husband nor I are – you must request the blue cheese dressing. There is nothing quite like it. 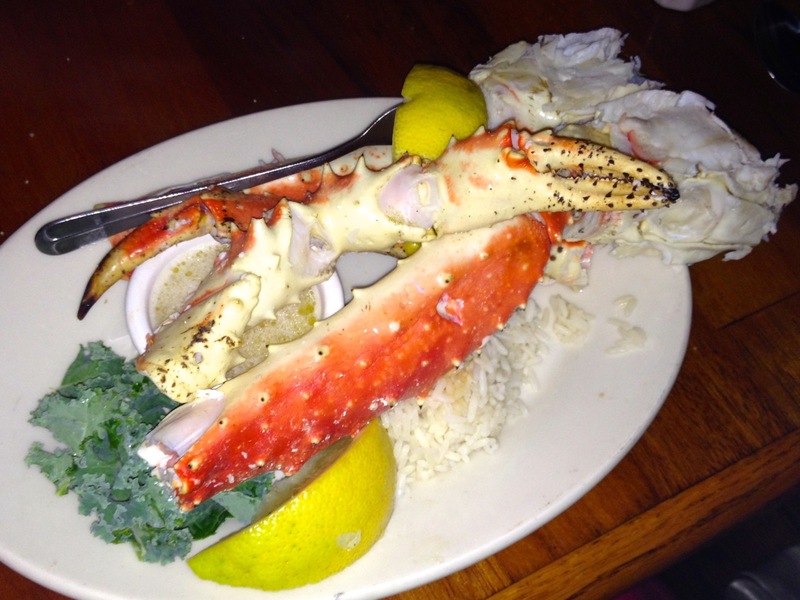 Because we had the world’s most filling appetizer, we opted to share the king crab legs. I have dined at Captain Jack’s countless times, but honestly only a handful have veered from their crab legs; they are simply remarkable. You cannot purchase size or quality parallel to this anywhere that I have found. This is a split portion. 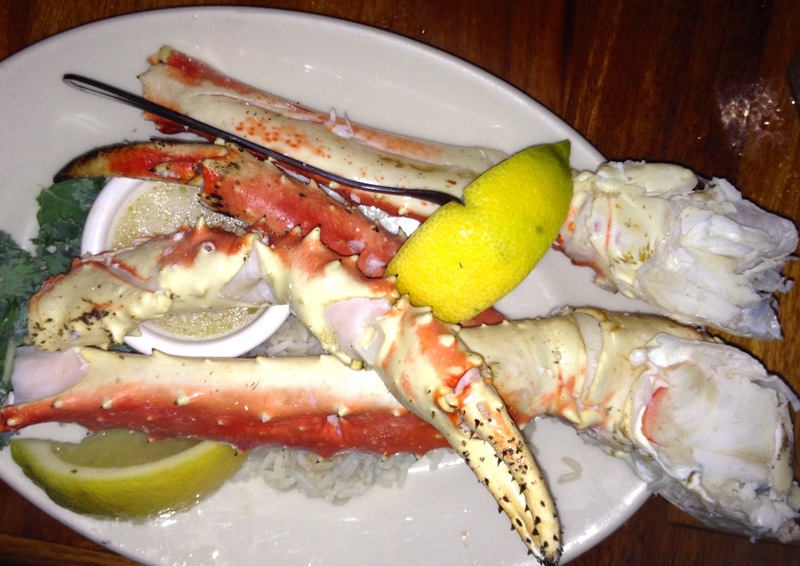 Whatever the market price happens to be, you definitely get your weight in crab legs. The only thing left at this point was to order one of the amazing desserts. 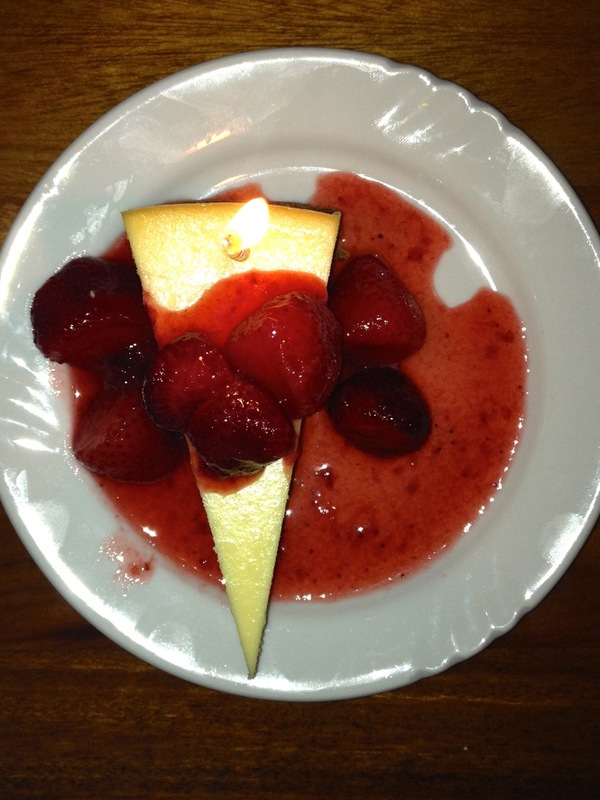 The mud pie looks to die for… but could also feed a small army, so we opted for the classic cheesecake to celebrate my husband’s birthday. It was creamy and delicious. 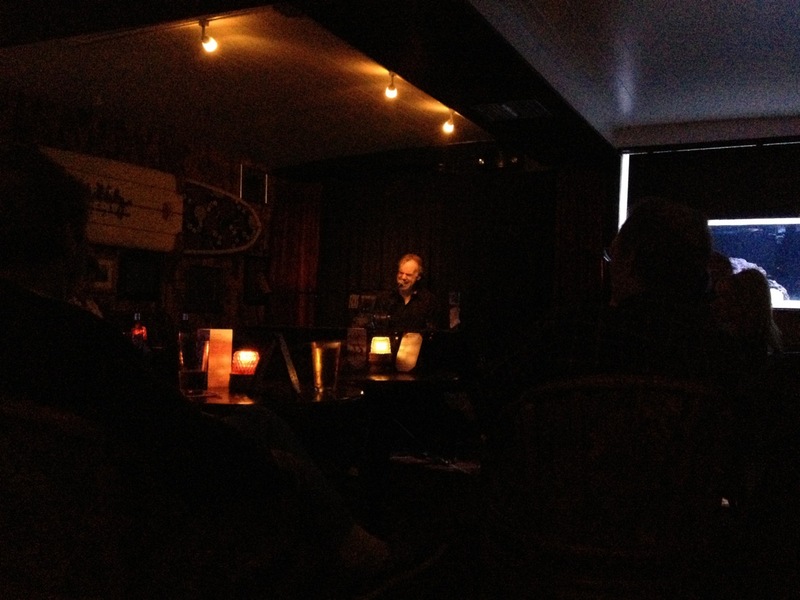 After dinner we stopped by the lounge on our way out to listen a bit to Jim Quealy on the piano, guitar and harmonica. Quealy is the local entertainer who’s been at Captain Jack’s on and off for at least the last decade. Rumor has it he was gone for a year or two songwriting in Nashville for some big names, but is back currently Thursday through Saturday starting at 8pm. The man is amazing, and can play anything you could possibly request, many times better than the original artist. On weekends the lounge is packed out with patrons who clearly come regularly to hear Quealy and enjoy a cocktail or two from the fully stocked bar. 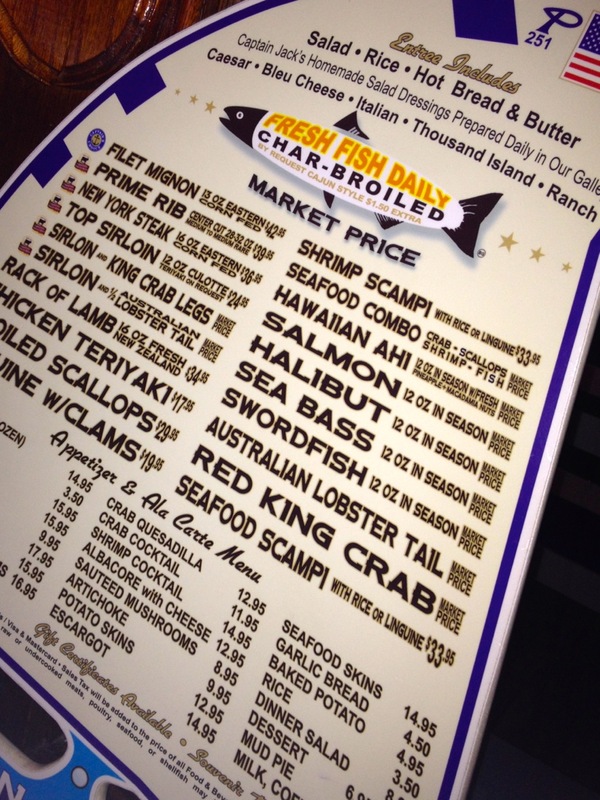 Captain Jack’s is located at 16812 Pacific Coast Hwy, Sunset Beach, California 90742. (562) 592-2514. Recommended to call well in advance for reservations, especially at high times. Parking can be a bit of a challenge, especially on weekend nights, but directly across the street from the front door is complementary valet. 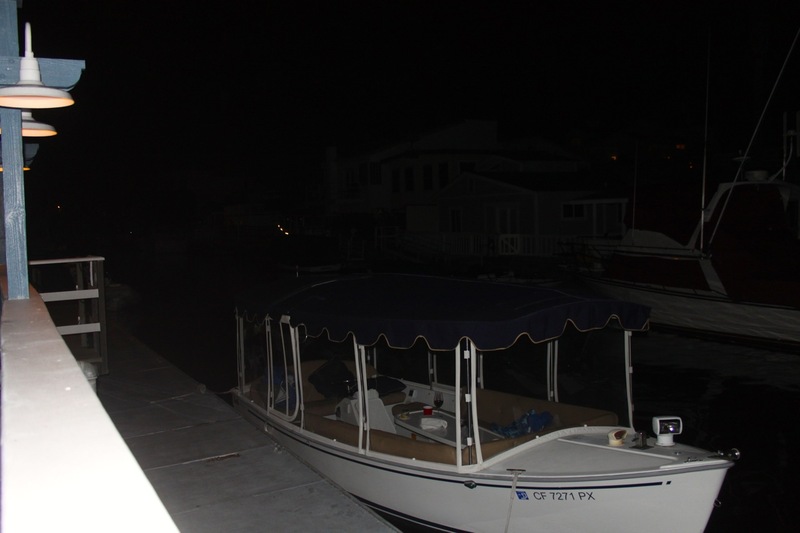 If you happen to be so fortunate as to live in the harbor and own a boat, you won’t even need to set foot on the street; just pull up your vessel and tie off at Captain Jack’s private dock. Regardless of how you travel there, you will no doubt enjoy the atmosphere and the delicious food at Captain Jack’s!